The summer travel issue of Jute magazine is here in full effect! 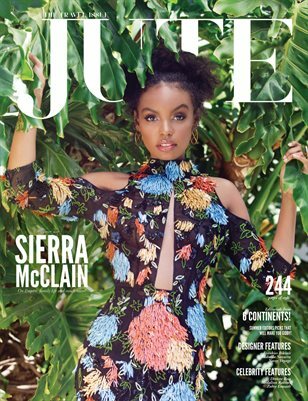 We have an amazing cover story with the talented Sierra McClain by writer Rebecca Cramer plus editorials from 6 continents! Also featuring stories with Desiree Ross, Medalion Rahimi, and Zohre Esmaeli and designer features with Ludmilla Navarro, Nacre Voyage, and Frankies Bikins.